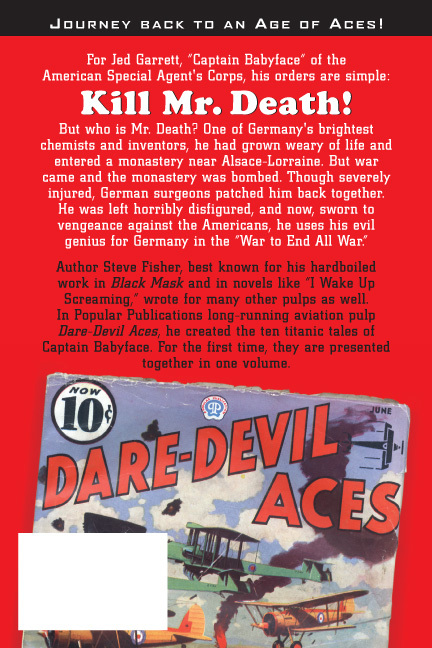 STEVE FISHER is best known for his hardboiled work in Black Mask Magazine and in novels like “I Wake Up Screaming”. 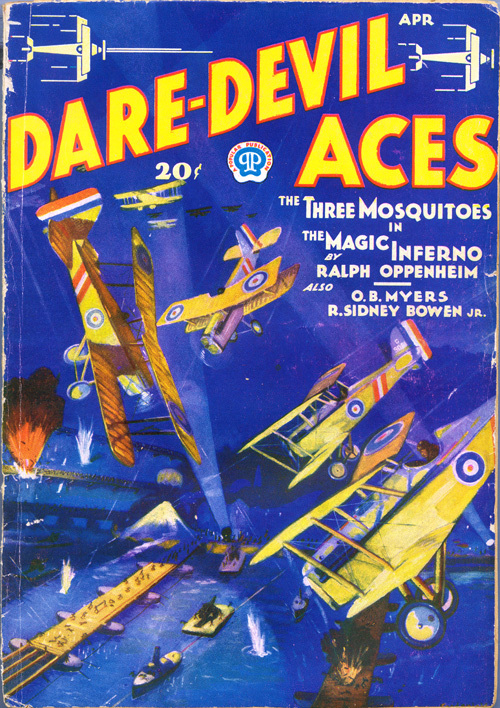 In 1936, Fisher had a story in each issue—save December—of Popular Publications long-running aviation pulp Dare-Devil Aces. 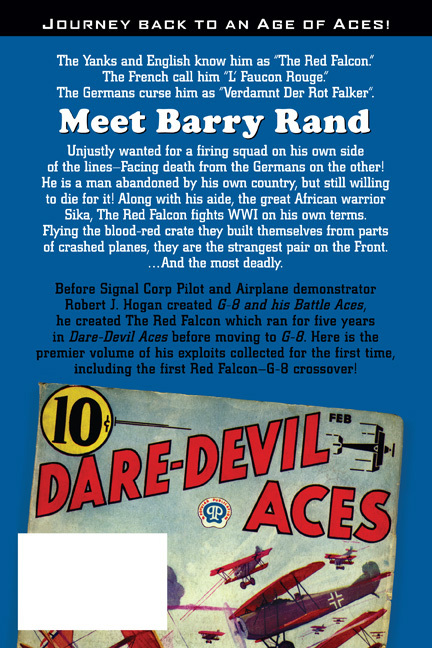 Ten of these tales featured Captain Babyface and can be read in our published collection—Captain Babyface: The Complete Adventures. 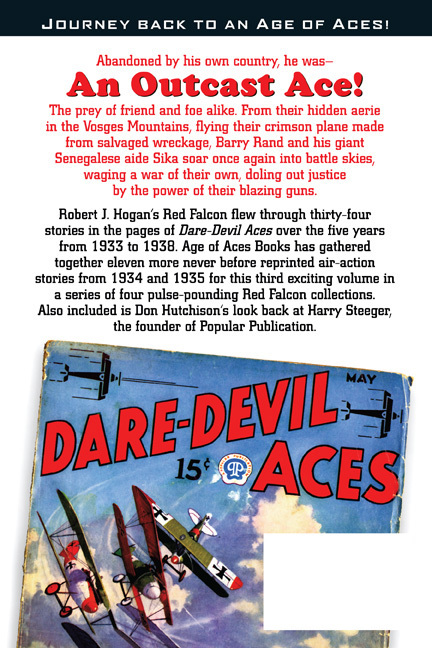 To mark it’s tenth anniversary, we have Fisher’s “The Kid from Hell” which ran in the October 1936 issue of Dare-Devil Aces sandwiched between the final two Babyface tales. 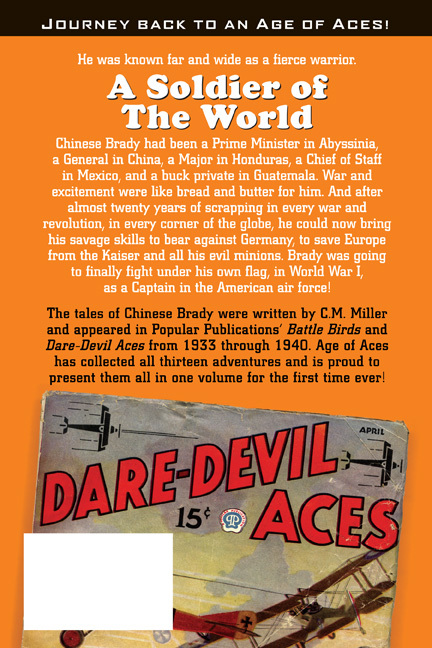 Bill Baxter was tired of being a stooge for the famous Mart Morrel, a guy who specialized in glory and let the War take care of itself—whose head was swollen twice as large as the Army’s best balloon! 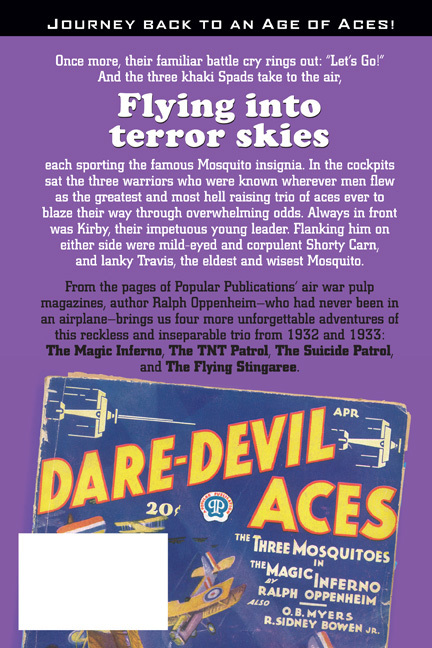 Still nobody doubted Morrel’s nerve or the fact that he could fly—it’s just that Baxter was well convinced that wind bags must come down! 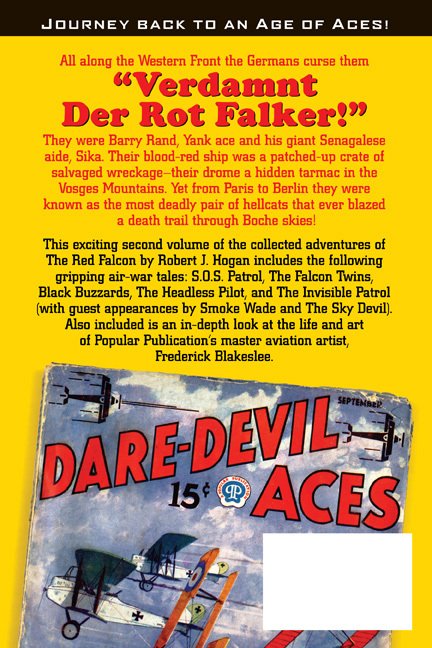 This week we have more great Dare-Devil Aces covers by Frederick Blakeslee. 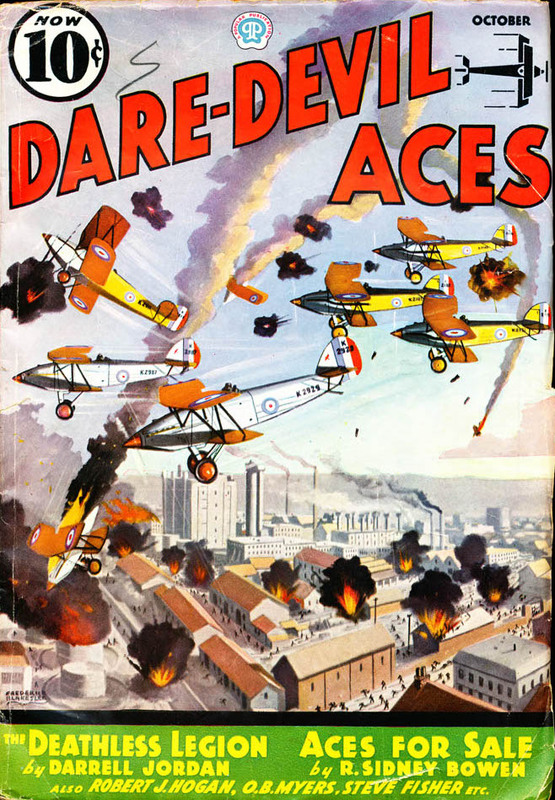 Popular Publications published some dynamite aviation art on the cover of Dare-Devil Aces! 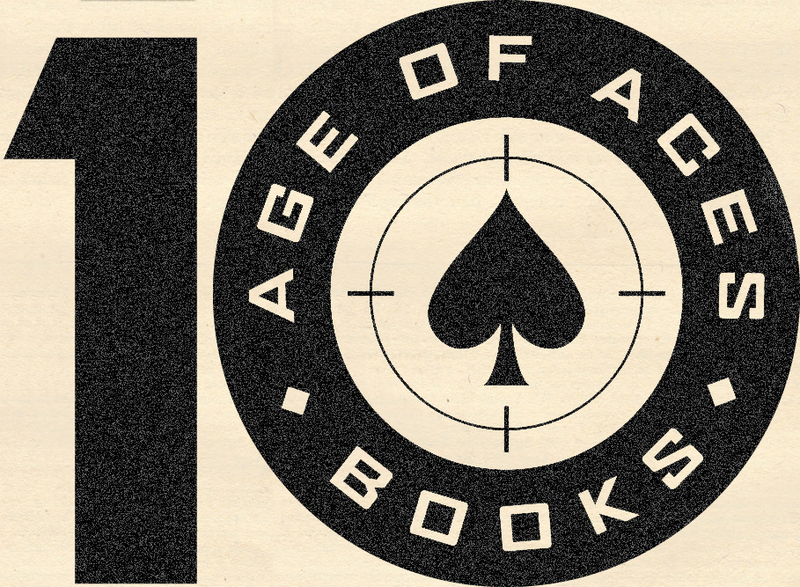 Sadly, we don’t use more than a sliver of it for our books. 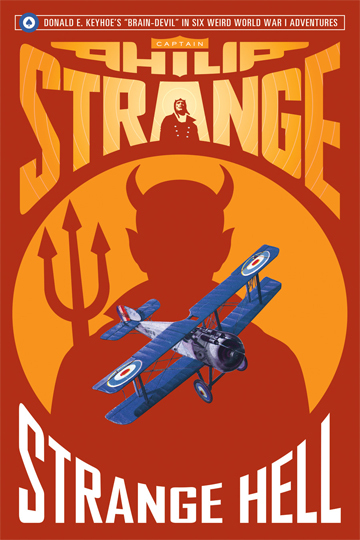 But that’s a design choice — We’re not trying to keep anything from you. 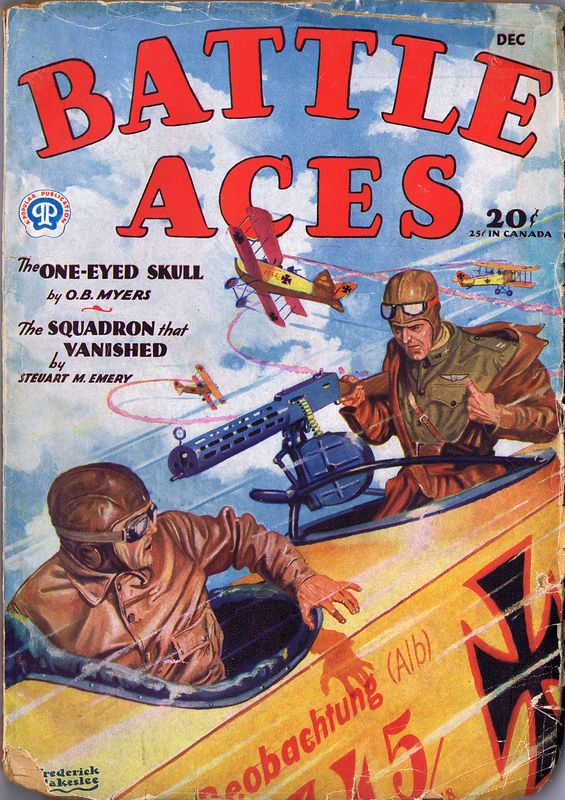 And now we’ve added two more years of great Blakeslee covers to our growing gallery––1936 and 1937! 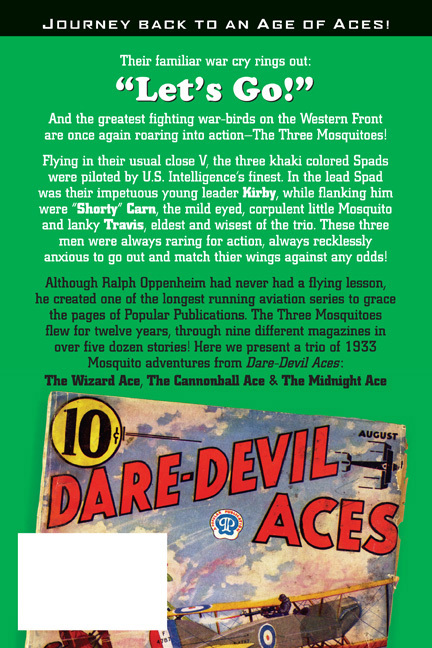 The June and December covers of 1936 are probably the two most recognizable Dare-Devil Aces covers and we have featured both of them now on back covers of our books. 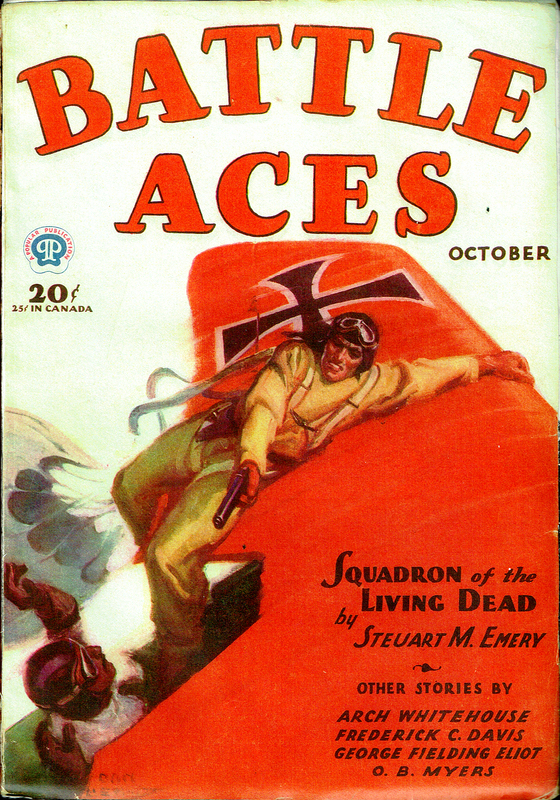 Our very first publication, Steve Fisher’s Captain Babyface, featured the June cover on the back. 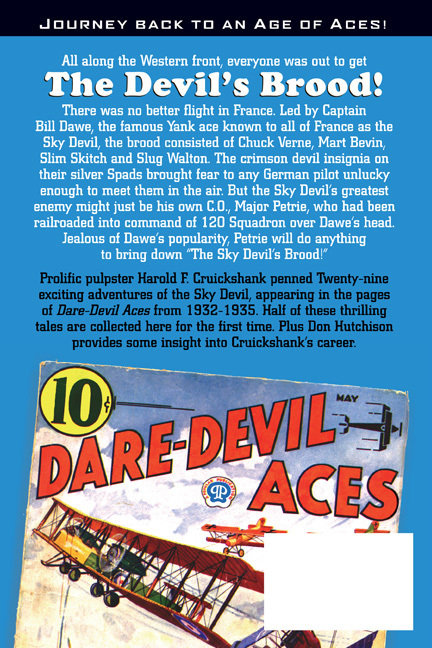 Captain Babyface and Mr Death matched wits through ten of the twelve issues that year––their last scrap appearing in the November issue. 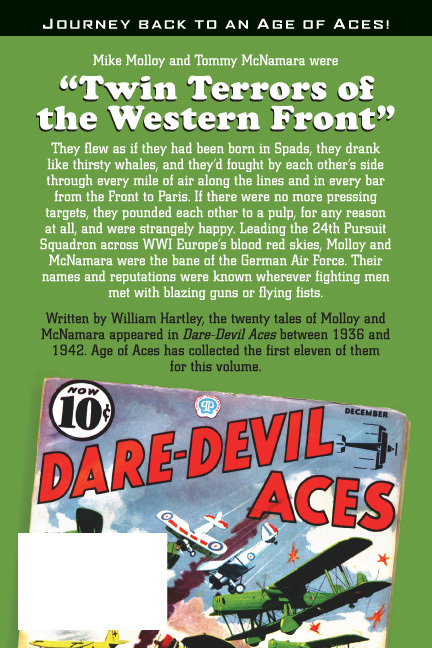 William Hartley’s The Adventures of Molloy & McNamara started running in the July 1936 issue with the adventure we choose to use as the title for the volume, Satan’s Playmates, in the December issue allowing us to utilize it’s cover in the cover design of that book. 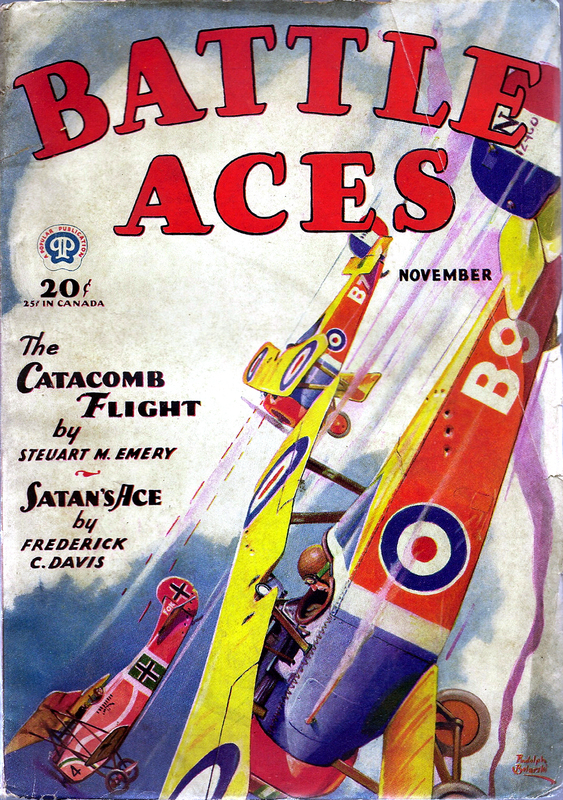 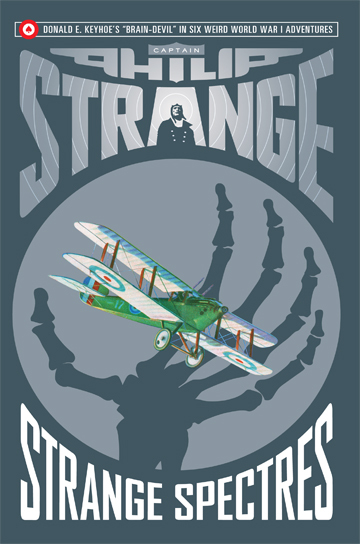 As 1936 gave way to 1937, Blakeslee’s covers move further away from depictions of planes in use during the late great hate and start to feature more contemporary planes in the frenetic melees depicted on the covers. 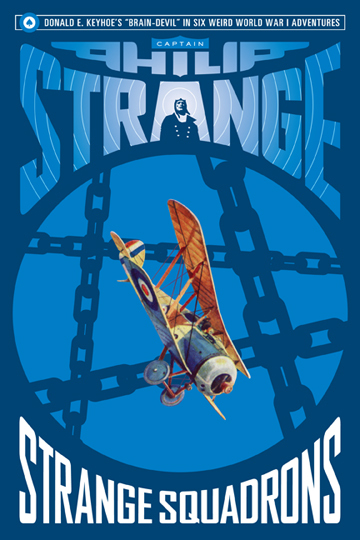 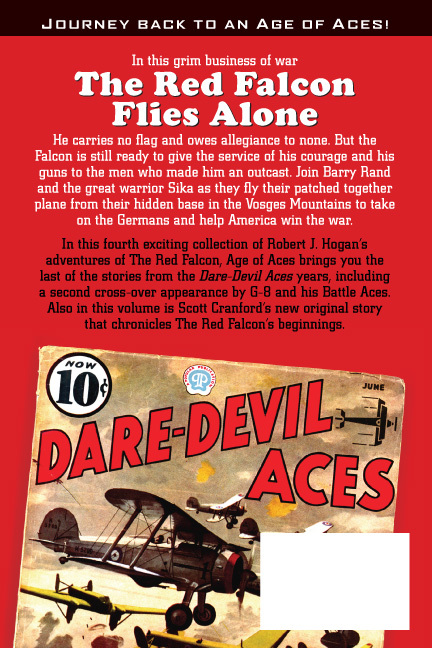 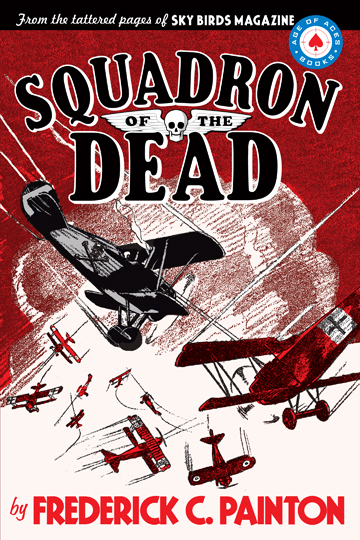 Robert J. Hogan’s The Red Falcon was also printing it last stories in 1937 with the last Dare-Devil Aces Red Falcon story being published in the January 1938 issue. 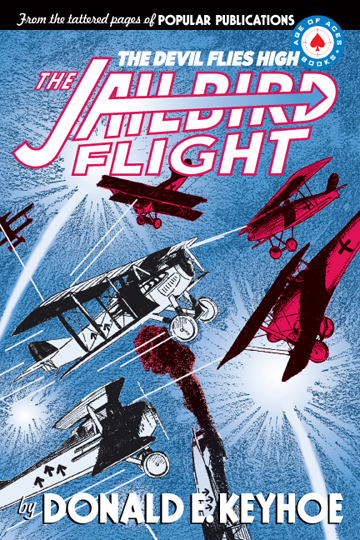 The June 1937 cover seemed to work best with the crimson cover of the Red Falcon’s fourth and final volume. 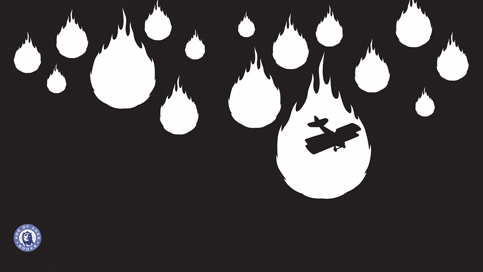 This is the latest cover we’ve used, but fear not, this is not the last update to our covers gallery. 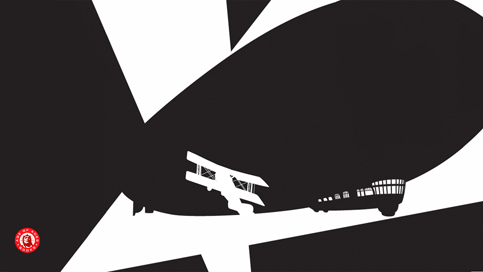 There are more covers to come. 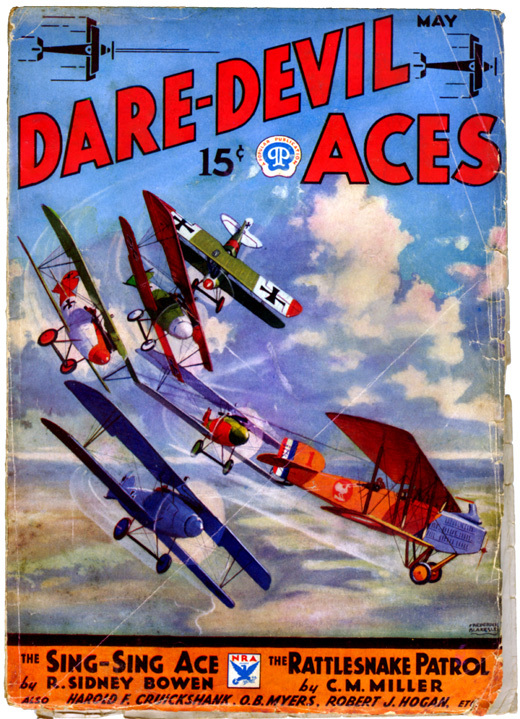 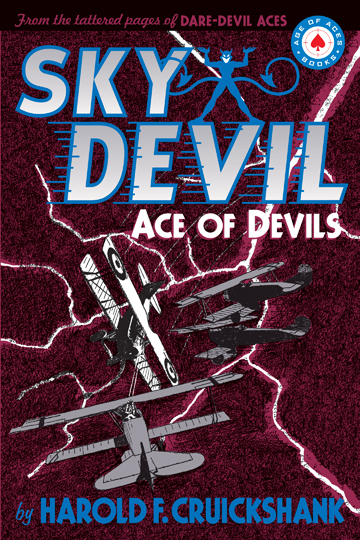 You can enjoy these as well as covers from 1932 through 1935 in our Dare-Devil Aces Cover Gallery!